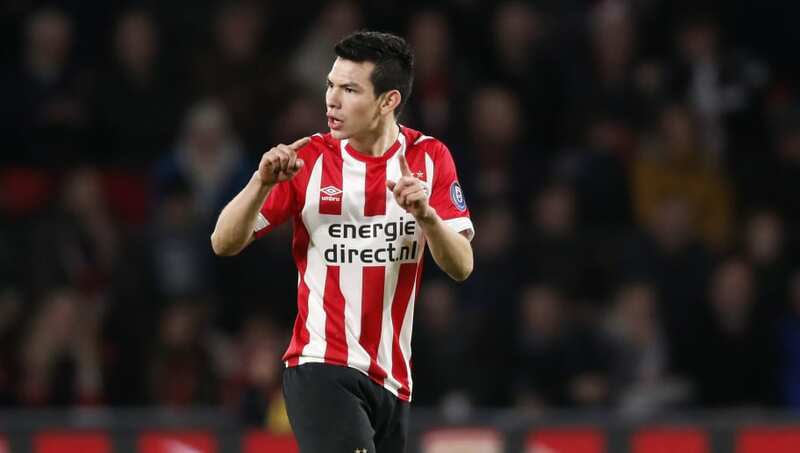 Napoli are reportedly favourites to sign PSV winger Hirving Lozano ahead of several European rivals, thanks to their connection with agent Mino Raiola. The Mexican international has earned rave reviews for his performances in the Eredivisie, and has been linked in recent seasons with a move to one of the European elite. Now, Italian publication Gazzetta dello Sport (via ​CalcioMercato) reveal that Carlo Ancelotti's side are making Lozano their number one transfer target after Hamad Traore's apparent decision to sign with ​Serie A rivals Fiorentina. The report adds that ​Napoli's sporting director, Cristiano Giuntoli, is attempting to provide Ancelotti with a couple of reinforcements by the end of this month and sees Lozano as the man needed for the second half of the season. It had earlier been reported that Napoli had made a bid of €30m with added bonuses, but their offer had fallen short of the Dutch side's €40m valuation. But it is now being suggested that Lozano's agent, Raiola, is in 'constant communication' with Giuntoli and that has led to Napoli's increasing confidence that they will fend off interest from the likes of ​Chelsea, Milan, Manchester United and ​Real Madrid. The 23-year-old became the youngest ever winner of the men's CONCACAF award for the best player of 2018 on Tuesday, with his performances for PSV and Mexico highlighting his potential. The winger scored Mexico's winner against then world champions Germany at last year's World Cup, and has gone on to enjoy another productive season this year with PSV with 11 goals and six assists in his 17 league games so far.